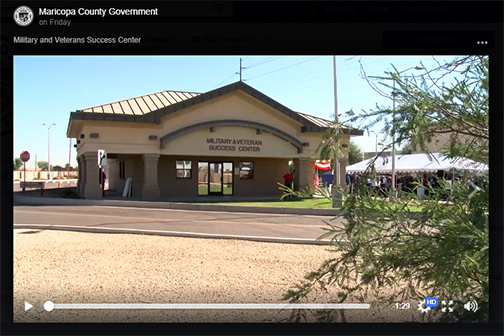 This video produced by Maricopa County provides a thoughtful brief about the purpose of our new Military and Veterans Success Center - West at Luke Air Force Base in Glendale, AZ. Learn more about the center in this RioNews blog post. We are grateful for the generous community support of this initiative and we look forward to being of service to Maricopa County’s transitioning military, veterans and their spouses! Check out event photos on Facebook. 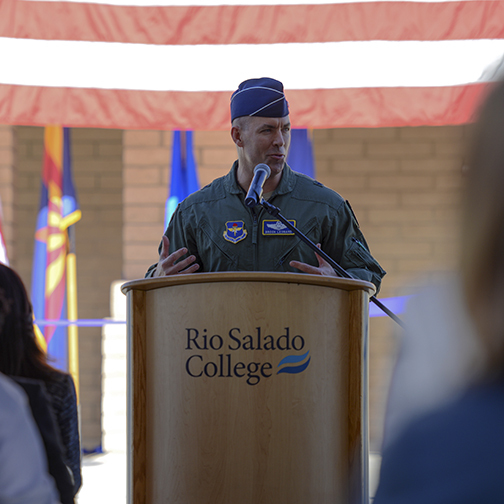 "We are proud of the partnership that this center represents, combining Air Force programs at Luke with the resources of our incredible community for a more seamless transition in education and employment opportunities for our men, women and their families." --Luke Air Force Base commander Brigadier General Brook J. Leonard.